REHAU has announced its building information modeling (BIM) library is now available on UNIFI, a BIM content management platform. This will allow architectural and engineering firms to design with REHAU PEXa plumbing and radiant heating/cooling content directly in Autodesk Revit models. Subscribers to the cloud-based platform UNIFI Connect will be able to locate and adopt manufacturer content into their internal libraries. According to a REHAU press release, collaboration and data exchange between all parties will be reliable because data is accessed and updated in real time. BIM library administrators will also be alerted when manufacturers update their content libraries, facilitating timely updates within their open projects and their internal libraries. 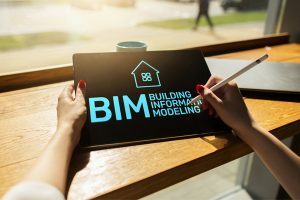 “Our new BIM library is a great addition to our technical services, which include continuing education training, design and takeoff software for material estimating, specifications and radiant heating/cooling design services,” said REHAU’s building solutions division director of engineering Jonathan Bittenbender. Among the components in the REHAU BIM library are the RAUPEX crosslinked polyethylene (PEXa) pipe, EVERLOC polymer and lead-free brass compression-sleeve fittings and distribution manifolds.